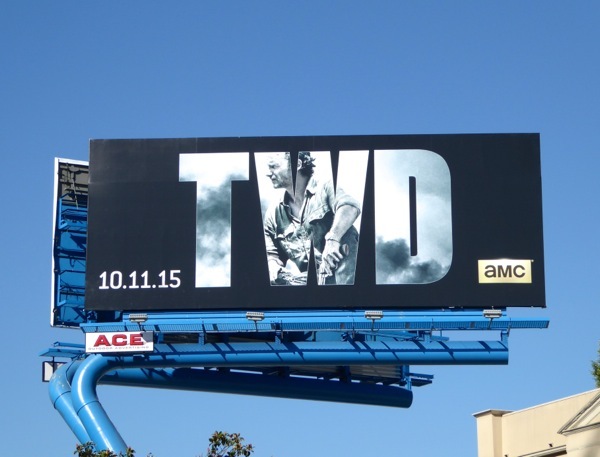 They're back and The Walking Dead is shaking things up for the sixth season of the post-apocalyptic zombie show. 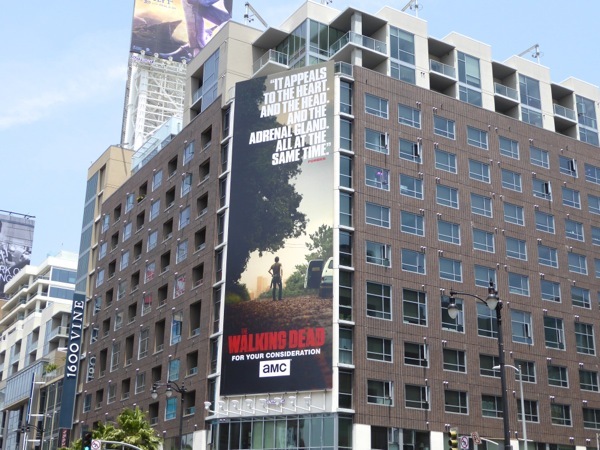 In addition to threats beyond the walls of Alexandria from hordes of the undead and psychotic 'Wolves', 'Rick Grimes' and his plucky band of survivors may also face a civil war within their new sanctuary too. 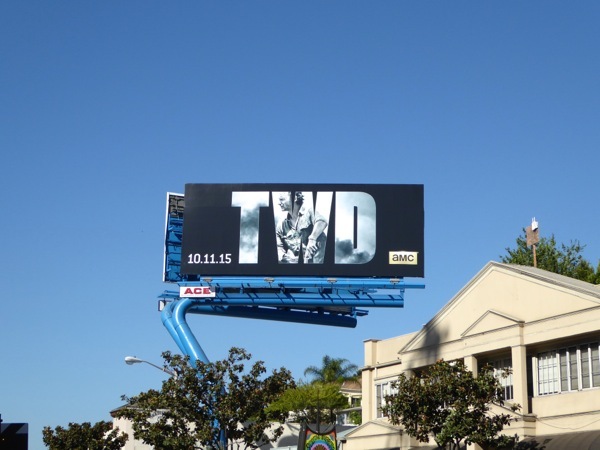 This 'TWD' ad creative is a nice visual departure and shot in the arm for the series season promo billboards, helping to keep the AMC original show fresh, especially in light of the debut of its recent companion series spin-off Fear The Walking Dead. 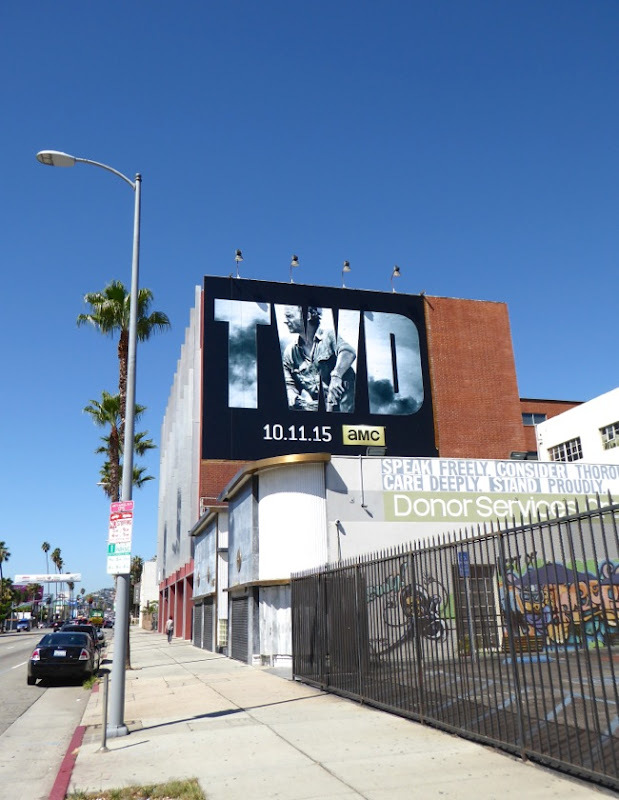 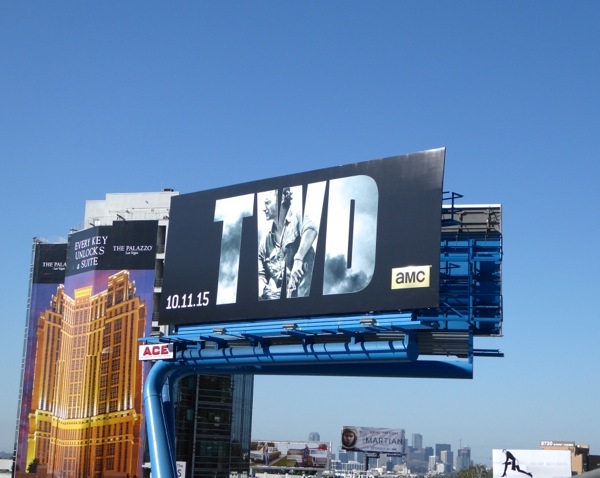 These bold, atmospheric season six billboards were first snapped on September 13 above the Sunset Strip, then in multiple Sunset Boulevard ad locations through September 20, 2015. 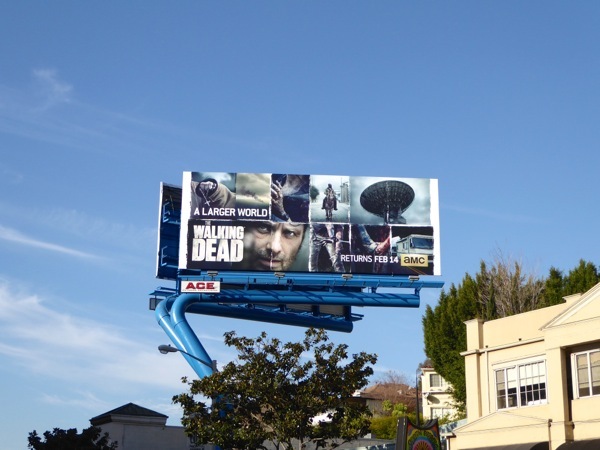 If you're a fan of the ratings winning show, you can also compare this ad creative to previous season promo billboards for The Walking Dead. 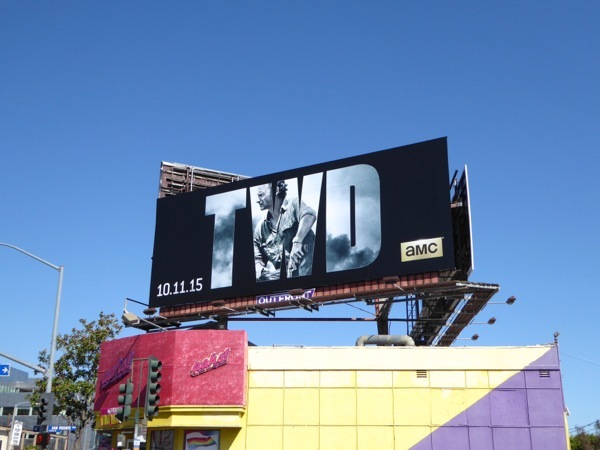 With Halloween fast approaching there's never been a better time for The Walking Dead to be filling the skies of L.A. to get us in the mood for the scary season. 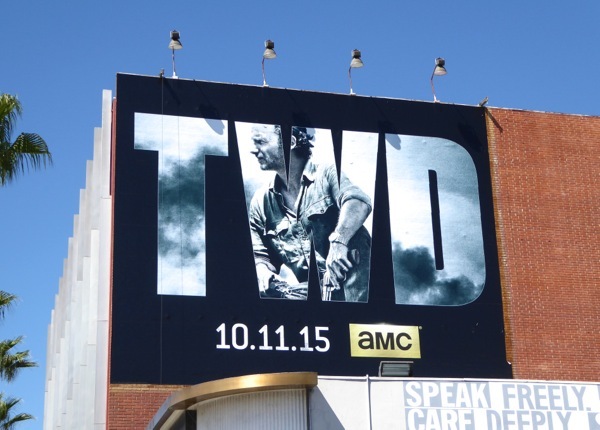 UPDATED: After a thrilling first half of season six, now's the time to catch up on The Walking Dead if you've missed anything with a special TV marathon on AMC. 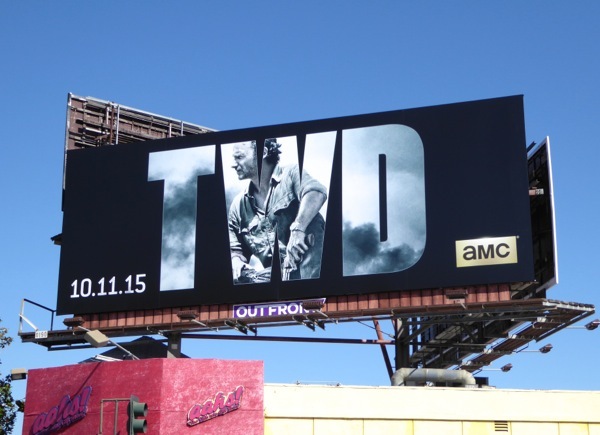 This Rick Grimes billboard for the five-night event was snapped above the Sunset Strip on December 23, 2015. 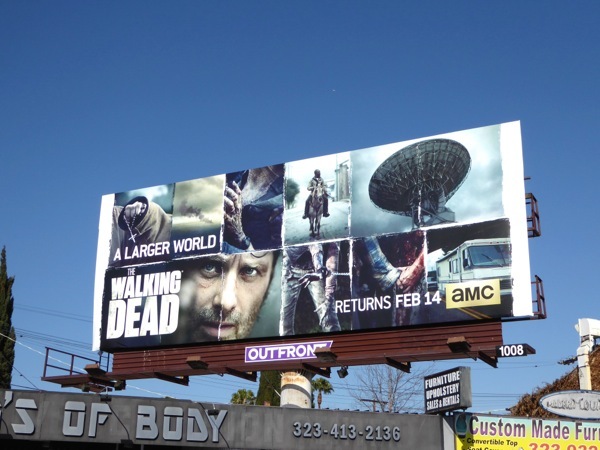 UPDATED: The Walking Dead continues to shake up its key art with this midseason collage billboard for the second half of the sixth season, snapped along the Sunset Strip on January 14, 2016. 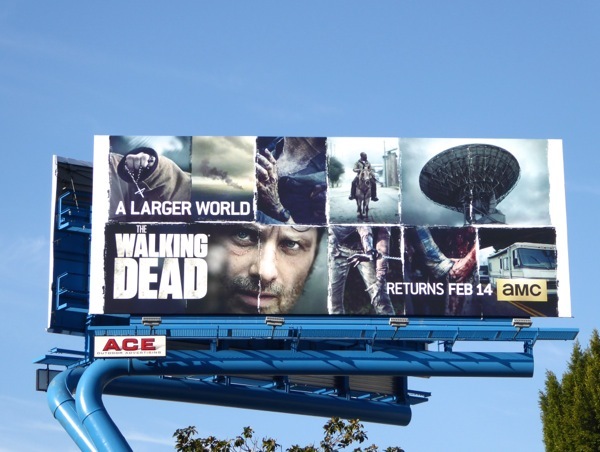 From the looks of things, Rick and the other survivors will be exploring 'A larger world' outside of the walls of Alexandria for the rest of the season, no doubt including the threat of fan-favourite bad guy, 'Negan' (played by Jeffrey Dead Morgan). 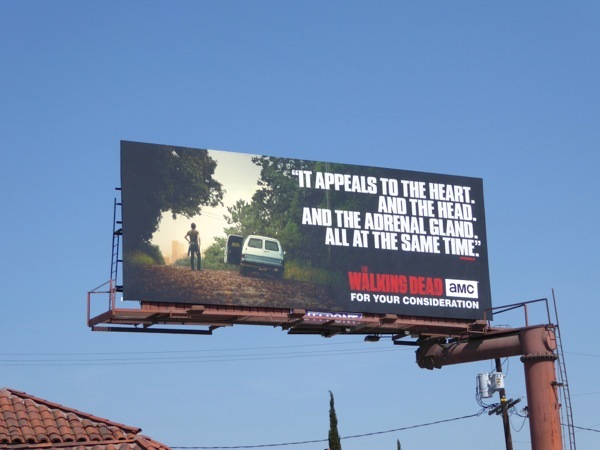 UPDATED: As the special Valentine's Day treat grows closer, more and more billboards for the returning show are popping up around L.A. 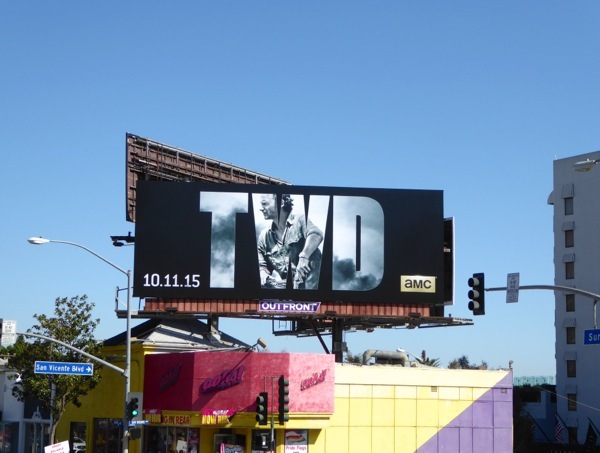 This additional midseason billboard was spotted along Melrose Avenue on January 24, 2016. 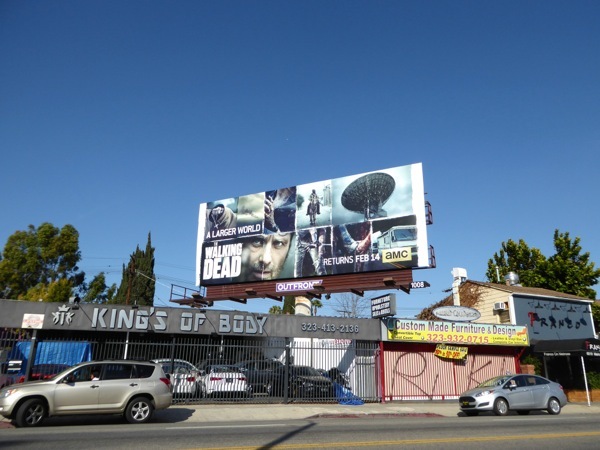 UPDATED: Here's also the Emmy consideration billboards for the sixth season of the show, first spied along La Brea Avenue on May 26 and at Hollywood's Sunset & Vine on June 1, 2016. 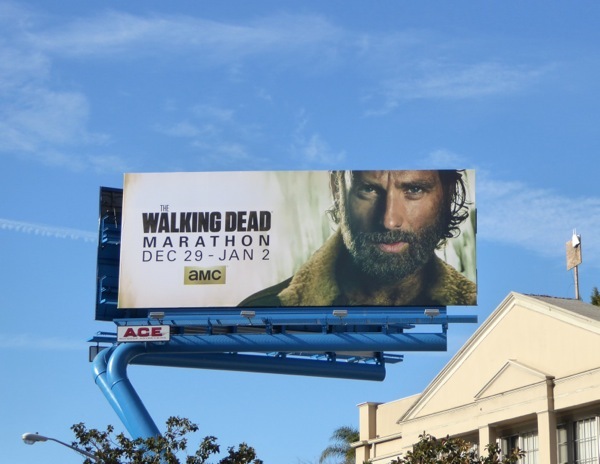 Let's hope TWD can get more love this year from TV Academy voters and not just for the technical craft awards, because if a fantasy show like Game of Thrones can win big, why can't AMC's compelling zombie drama.